Imagine the look on your dog’s face and all the tail wagging when you open your monthly subscription care package. 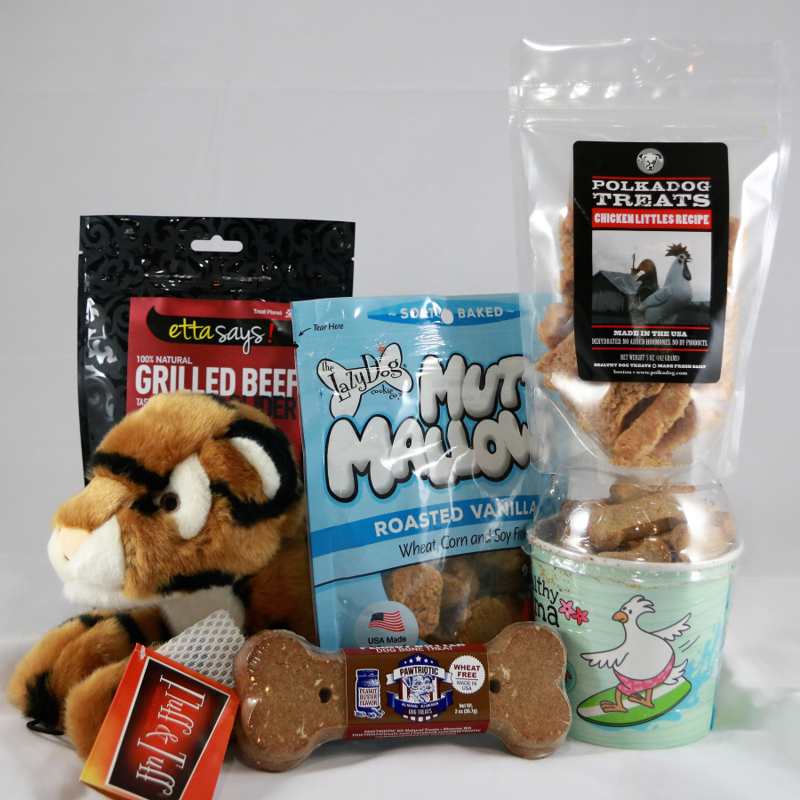 This paw-picked care package will include a mix of surprise edible goodies made in the USA. Imagine the look on your dog’s face and all the tail wagging when you open your monthly subscription care package. This paw-picked care package will include a mix of surprises. Goodies include a combination of edibles made in the USA and high-quality toys based on your dog’s play preference of gentle or ruff.